The tribe of Dan was assigned territory along the Mediterranean Sea where Joppa and the modern city of Tel Aviv now stand (Joshua 19:40-48). Because the Philistines lived in this territory the Danites found it necessary to move to a new location. 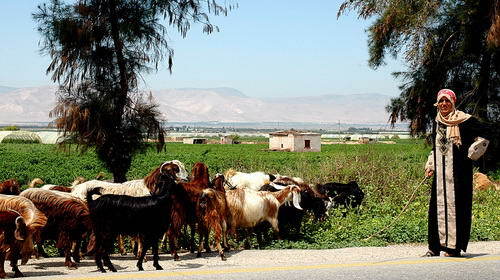 A portion of the tribe moved north to the city of Laish at the foot of Mount Hermon and renamed it Dan (Judges 18). This northern city became the northern boundary of Israelite occupation and prompted the expression “from Dan to Beersheba” (Judges 20:1; 1 Kings 4:25). An Aramaic inscription was found by Professor Avraham Biran at Dan July 21, 1993. The inscription mentions the king of Israel, the “the house of David,” and the Aramean (Syrian) god of storms and warfare, Hadad. The “house of David” is a reference to the southern kingdom of Judah. Two additional pieces of the inscription were found in June, 1994. 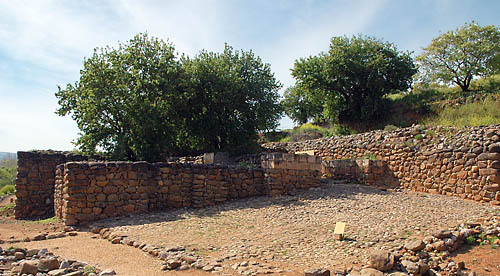 This photo show the partially reconstructed Iron Age (Israelite) gate at Dan. If you are visitor number 20,000, or the first one afterwards (see Blog Stats on the right) I will send you a high resolution digital photo of a biblical site of your choice. It will be suitable for use in PowerPoint presentations. This assumes that I have a photo of the place. Give me a list of three in your order of preference and I will do my best. When we began this little blog to post photos of our Ancient Crossroads Tour of Biblical and Historical Turkey, we never even thought about reaching 20,000 hits. But, it should happen today. Thanks for making this a site you visit regularly. There are many things I would like to blog about if I could find the time, but I have basically tried to limit myself to things pertaining to travel in the Bible lands. As our gift to you for traveling along with us, here is a picture of a woman caring for goats in the Jordan River valley on the east side. This photo was made in the Hashemite Kingdom of Jordan, looking across to Israel. In Roman times (the period of the New Testament) this area was known as Perea. The New Testament never uses the word Perea, but the Greek New Testament has the word peran (translated beyond), in the phrase “beyond the Jordan” (Matthew 19:1; John 1:28; 10:40). Jesus spent a considerable about of time in this region (John 10:40-42; Luke 13:22-35, et al.). The desolate looking area across the valley is the northern end of the Wilderness of Judea. The Jordan River is rarely visible because it flows in a depression known as the Zor. The Zor is a depression cut into a wider depression called the Ghor. This valley is several hundred feet below sea level, making it ideal for truck farming today. If that expression (truck farming) is new to you, it means the growing of vegetables for use by people outside the area. For the past two weeks I have been working on a presentation for a class at the Florida College Annual Lectures (February 5, 2008 at 9 a.m. in Puckett Auditorium). I plan to make a similar presentation at the Citrus Park Church of Christ, 5105 W. Ehrlich Road, Tampa, FL, Sunday evening January 27 at 5 p.m. If you live in the Tampa Bay area I would be pleased to have you present for this lesson. I have visited biblical sites all over Turkey for many years. Two personal study trips have been made to the eastern part of the country, one in 1995, and another in June, 2007. Check the June archives for those blogs. Our presentation will cover the land of Urartu (biblical Ararat), Mount Ararat, Mesopotamia, the Tigris and Euphrates Rivers, Harran, Carchemish, and a few other places. We will be looking at the biblical, historical, and geographical information that makes these places important in Bible history. Here is a photo of Mount Ararat from June, 2007. 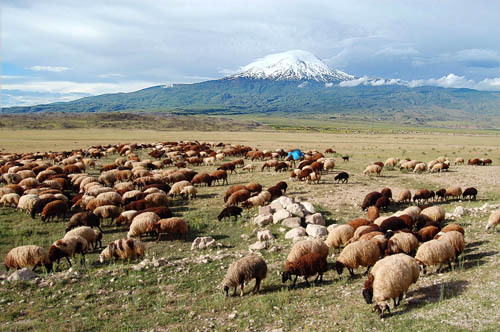 The mountain is located near the Turkish border with Iran and Armenia, and many think it was the landing place of Noah’s ark (Genesis 6-9). Does this seal bear the name of a Bible character? 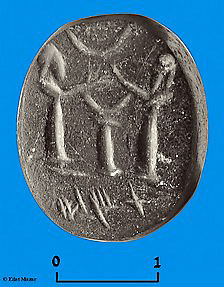 We now have dozens of seals bearing the names of characters mentioned in the Bible, but every new one is interesting. The Jerusalem Post, January 16, 2008, reports the discovery of a seal that it says bears the name of a family of temple servants who were exiled to Babylon in 586 B.C., and then returned to Jerusalem after the exile. The discovery was made by Dr. Eilat Mazar at the City of David Excavation. According to the article, Dr. Mazar reads the inscription as Temech. In many English versions this name is translated as Temah. The Nethinim are mentioned in Nehemiah 7:24 rather than 7:46. See also Ezra 2:53. Other scholars were quick to point out that Mazar had read the inscription left to right, but that seals are normally in the reverse order so that when they are impressed in clay the name reads right to left. Thus the suggestion has been made that the name should be Shelomith. Others have pointed out that there was a Shelomith among the returnees from Babylon (Ezra 8:10). A warning is in order. There is no way to connect a name on a seal, without additional information such as a title, to a specific person in the Bible. The best one can say is that the name was common to the time of a given event or book. And we are never quite sure if the reporter with a deadline to meet got the comment correct, or placed it in the correct context. In other words, we must await additional, more detailed information. A context for the dating of the seal to a particular year, or span of years, must be provided. Be patient and wait at least another week (month, year, decade) before using this in your sermon! Many scholars are critical of Dr. Eilat Mazar and her work in the City of David Excavation. They paint her as a person with an agenda to prove the Bible true, and that she stretches the evidence to fit the theory. If this is true, it is not good. On the other hand, I suspect it is the lack of belief in the veracity of the Bible that prompts some to criticize her every shovel of dirt. In 2005 Mazar announced the discovery of a clay bulla (the impression of a seal) bearing the inscription, “Yehukal son of Shelemyahu son of Shobi.” The suggestion has been made, and seems legitimate, that this is the name of the “Jehucal the son of Shelemiah” mentioned in Jeremiah 37:3. This bulla is added to several others, published much earlier, of persons named in the book of Jeremiah. Archaeology has been a wonderful tool for the Bible expositor, but we must be careful not to expect too much from it. 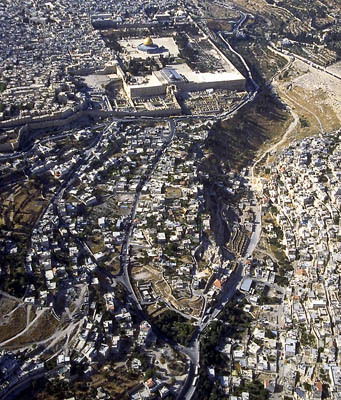 The aerial photo below, which I commissioned a fews years back, shows the area of the Temple Mount to the north (top of photo) and the City of David to the south (bottom of photo). Dr. Albert Mohler, president of Southern Baptist Seminary, writes some excellent material relating to Christianity and modern culture; that is, the Christian Worldview as it relates to other Worldviews. In his most recent blog, Mohler reviews a book by George Weigel, a prominent Catholic intellectual and commentator. Weigel’s book, Faith, Reason, and the War Against Jihadism, shows the importance of taking theology seriously in dealing with the threat of jihadism. I recommend that you read Dr. Mohler’s comments here.